A cluttered bedroom can add to your stress level and keep you awake at night, making you cranky and tired on a regular basis. Taking the time to clean and thoroughly declutter your bedroom can turn your bedroom from a center of chaos to a calming, relaxing oasis. “The bedroom is the one place where you want to have a sense of calm when you enter so you are able to get to sleep and feel rested. If you have things piled up all over the place, it creates an environment that puts your mind on overload. It also makes you feel guilty about not putting things away,” said Julie Bertram, The Organizing Pro. 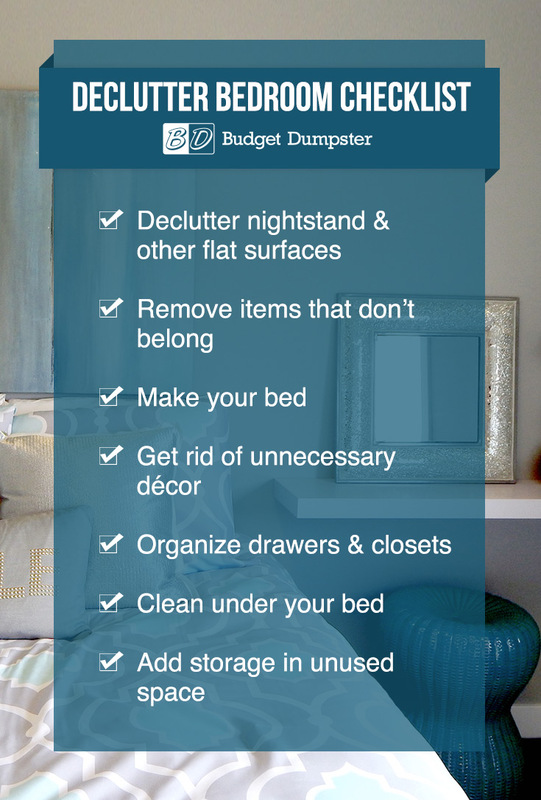 Use this guide and checklist to learn how to declutter a bedroom. When you’re ready to start your DIY bedroom organization project, start with the small stuff. Begin by tackling all the flat surfaces in the room including, the top of your dresser, nightstand, desk and any shelves. This includes throwing away all garbage and moving items to their appropriate homes. Do you use it every day? If not, move it to a new room. Does the item help you create a relaxing space? If not, relocate it. Does it belong in your bedroom? If not, relocate it. If your answer to any of these questions is yes, return the item to its out-of-sight home. If it doesn’t have a designated home in your bedroom, set the item aside and find a spot for it while organizing your drawers and closet in step four. Feel free to leave a few items out, like a stack of books or a perfume bottle, as long as they add to your relaxing aesthetic. While decluttering, keep in mind that your nightstand should be as clear as possible. This is the last surface you will see before going to sleep at night. Make sure it helps you clear and relax your mind. You probably don’t consider your bed to be a contributing factor to your bedroom’s clutter problem, but as you make it, consider each layer of bedding. Does your top sheet always end up on the floor? Do you find throw pillows annoying? Do you usually make your bed with two blankets but really only need one? Discard any layers or accessories that don’t add to your comfort while in bed. If the beauty of the throw pillows doesn’t outweigh their annoyance, get rid of them. Don’t put on a top sheet if it will end up on the floor later. Removing these steps from your bed-making process will not only help you declutter your bedroom, it will help you tidy it faster in the future. While décor can add to your relaxing oasis, too much can contribute to the cluttered, stressful feel of your bedroom. Take a look around your room. Do your decorations help you create a space that makes you feel calm? Collect any décor like older art or an unused lamp that doesn’t help create a relaxing space. Do you have pictures that are outdated? Remove the frames or switch out the image for a newer one. A good rule of thumb is to only have one item of décor on each flat surface. Starting with your dresser, dump drawers one at a time on a flat surface, like your newly made bed. 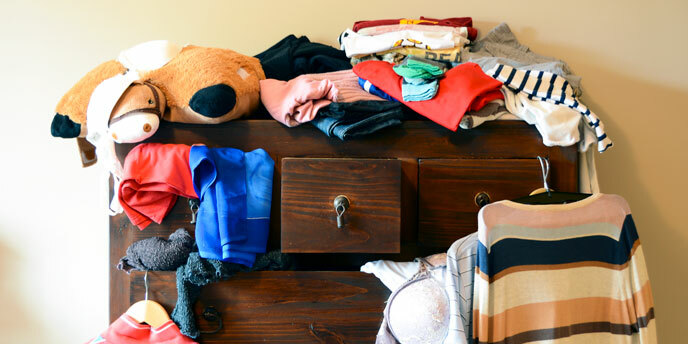 Get rid of any clothes you haven’t worn in a year. Donate these to a thrift store or charity. Throw away clothes that are past their prime. Place items that don’t belong in your bedroom in a box to be relocated. If it doesn’t have a place in your home, consider getting rid of it. Pull out off-season items and consider storing them outside of the bedroom. Next, organize your drawers. Assign each drawer a purpose and group like items together as you put items back. Once you’re done with your dresser, continue your bedroom decluttering by following the same sorting and organizing steps for other drawers in the room, including your nightstand and desk. After clearing out drawers, move on to the closet and repeat the process. Sort items into keep, toss and donate, including shoes, handbags, jewelry and other accessories hanging in your closet. As you return items to your closet, organize them in a fashion that makes sense to you, placing like items together or arranging by color. 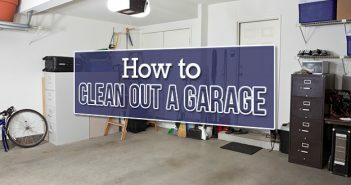 Make sure your flat surfaces are still clear when you’re done. Once you’re done with your DIY bedroom organizing, thoroughly clean your bedroom. Dust and clean all flat surfaces, picture frames and décor. Pull everything out from under your bed, sort and return items to their correct homes. Wash windows and wipe blinds. When you’re finished you should have a completely clean and decluttered bedroom. You’ve completed your bedroom decluttering project, but how long will your room stay clear of junk? Take these additional steps so you won’t have to clean out your bedroom six months from now. The best way to keep your bedroom organized is to make sure everything has a home. “One of the biggest storage mistakes people make that lead to bedroom clutter is not having a set plan of what goes where. This creates additional clutter in the bedroom because nothing has a ‘home’ and things just end up piled up in the corner or on a chair. People can combat this problem by creating a storage plan,” said Theresa Finnigin, director of marketing at Organized Living. Add some home storage solutions in unused spaces, like under the bed and on the back of doors, to help you quickly and easily put items away. This will keep potential clutter from piling up on the dresser or floor. Use the back of your closet door for storage by adding hooks. Take advantage of under-the-bed space with flat boxes or built-in drawers. Keep flat surfaces clear of jewelry by adding trays, bowls or boxes that add beauty and hide clutter. Add shoe racks or overhead shelving to create more closet space. Purchase nightstands with drawers and shelves to hide items. Add a chest for throw pillows and extra blankets. Use dividers to keep your drawers separated into organized sections. Changing your everyday habits can help you keep a decluttered master bedroom as well. First, stop using your bedroom for any activity that is not relaxing, like working or paying bills. This will help you keep paperwork and other annoying but necessary clutter out of your room. If this isn’t possible for you, make sure all the paperwork is out of sight by bedtime. Next, add 10 to 15 minutes to your daily routine to tidy up the room. Start by making your bed every morning. Before getting ready for bed at night, make sure all the dirty laundry is in the hamper and other clothes are returned to their hangers. 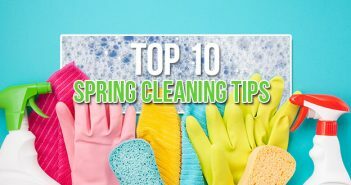 Make an extra effort to put away items like jewelry or books when you are finished with them or use dedicated cleaning time to put the items away. When you’re done decluttering your master bedroom, consider completing similar projects in other rooms. Use our “Ridiculously Thorough Guide to Decluttering Your Home” to get started. Are you keeping your bedroom free of clutter? Tell us how in the comments.